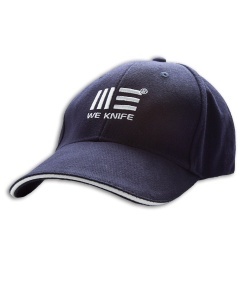 This premium hat from WE Knife Co. features their logo embroidered up front and a two-tone white rimmed bill. It's 100% cotton with an adjustable pull-through cinch strap for the fit you want. Best of all, this great hat is FREE with every WE Knife while supplies last.